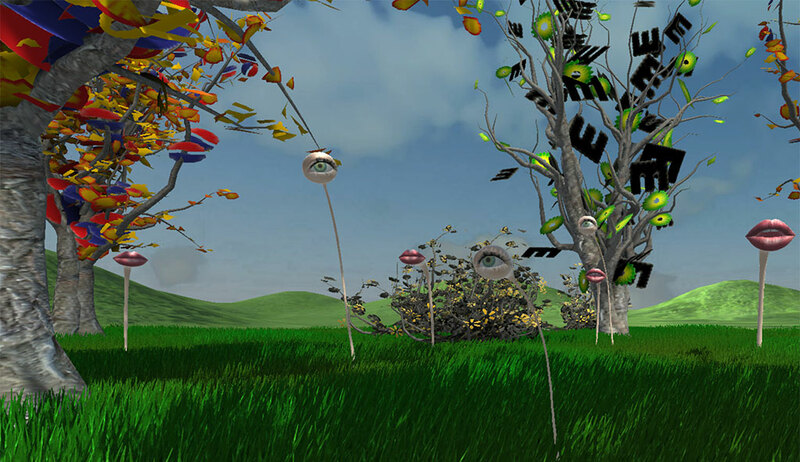 Virtual realty art installation for Oculus Rift and HTC Vive. It has been said that those who win the wars write the history books. Our current battleground is the media, where history is being written and read every few moments in a continuous feedback loop. Although facts are defined as something that hinges on evidence and repeatable objectivity, within our current media stream facts have become subject to polarized arguments. This becomes further complicated by the insertion of advertising, which manufactures need and commands us to buy the brands that represent our positions on reality. Although this may appear simply as a war of words and spin, our words determine how we interpret our perceptions, and currently our reality is being fiercely pulled deep into the realms of imagination.